Sometimes, I wish I could get a life and stop being a Village Town Crier. May be getting a new career will keep my eyes and legs off the shackles of hardship I see my people pass through. The problems of Nigeria are so disheartening to me. There is so much hardship everywhere. Everyone is flaring up at the slightest opportunity or the other. Nowadays you could lose a tooth for stepping on the feet of a man at a bustop. Your action could be accidental but the reflex action that follows may even shock the man offended. Have you ever wondered why most of the cases of lynching in Nigeria occur in the rural or impoverished areas? This is because the people are looking for objects to vent their frustrations and anger on. You could lose your head if you steal as low as N50 at the wrong street in Nigeria. The case of OPC’s maltreatment and tearful physical abuse of the two Ejigbo women in Lagos for reportedly stealing tomatoes is another case in hand. The perpetrators beat the women to the extent that they were almost begging for death. These same OPC members will align themselves with politicians that perpetrate the major damage in the society by stealing developmental funds. The economy is quite in a pitiful state. There are only a few cities/states in Nigeria out of the 36 states that can guarantee success and self-development. This is centered on Lagos, Port Harcourt and Abuja. Other states may follow but they are not concrete enough. Every individual in Nigeria especially youth wants to be in Lagos. This is because of the over-centralization of industries in the state. The population of Lagos is currently standing at over 21 million people and ever increasing. Facilities and resources are heavily strained. Most young people don’t even know what they are working for, no major achievements but major job tasks. Every individual seems to be living on hope in an oil-rich country. If auditors are sent to do a free financial analysis of the lives of certain workers, they will realize that they have been living for the day. This is not due to having the right jobs but the high cost of living in the city. This to a large extent applies to Port Harcourt and Abuja but I can only speak confidently of Lagos because that is where I work as a Village Town crier. My question is, where is our messiah coming from? Buhari just dropped a bomb shell that he is 72 and probably too old to strongly monitor all the affairs of the state like he should. This issue was raised during the period of electioneering campaign and his supporters made reference to the age late South African legend Nelson Mandela ascended the highly esteemed presidency post in his country. Reading his statement in his news was heart-breaking. I remember the pains and sweat of campaigning for this man. I remember how my dad that is close to 70 years old woke up so early to queue at the polling booth in Ibadan just to vote for Buhari and to shock my reader, he also waited behind to protect his vote and I asked myself, what strength would he had used in protecting his vote in the real sense? But that was the spirit of a determination for a change. So who has the strength and intellectual capacity to change Nigeria? We will keep searching and I hope we will ever find. The minds of the youths have been heavily corrupted by terrible leaders gulping the funds for the entire population and their pot bellies is vivid evidence. What struck your minds about the reports that the National Assembly members will receive a total of N8.64 billion as a wardrobe allowance next week? 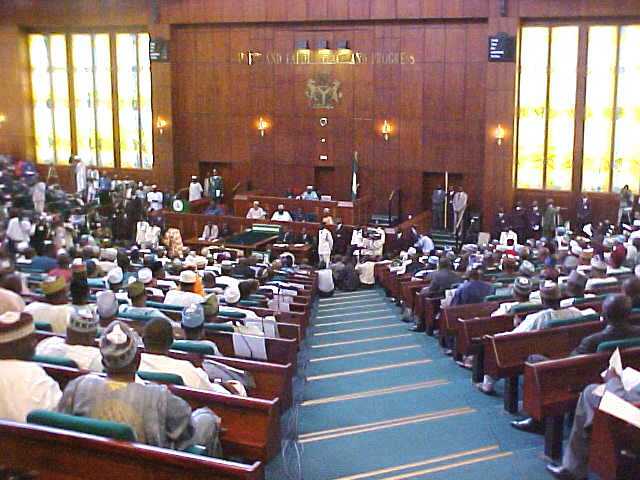 The reports that each of 360 House of Representatives members is to get N17.5 million as a wardrobe allowance and each of 109 senators is to get N21.5 million have been greeted with total shock and disbelief by peeved Nigerians. The question I'd like to ask regarding wardrobe allowance is have these legislators been going to the Almighty chamber n*ked? Considering that some of our legislators have risen through the ranks, do they not have a wardrobe before now? This is just a huge part of the excesses of governance. I wonder what would happen to the civil servants in Osun state when they hear this after they are being owed their salaries for 7 good months by the government. How will the parents of the over 200 Chiboks girls held in captive by members of the Boko haram sect for over a year welcome this news? What will be the state of minds of the civil servants in 18 other states currently being owed by the government with no check and balances to call the so called Governors of these states to order? What will become of their kids who need to be fed, sheltered, clothed and sent to school? Will they ever be given a normal average life which can’t be compared to the children of politicians living large abroad in luxury out of the pains of a generality of Nigerian masses? The poor in Nigeria are not asking for too much. They just want to be allowed to carry on with their daily activities till the day death comes. They are not fully interested in seeing all the exotic tourist centres in the world, riding fast and flashy cars, staying at luxury hotels, buying mansion, expensive jewelries like the rich which they showcase on Instagram and Twitter like Senator Dino Melaye and they just want to be with their wives and not sleep with top models in the world like our leaders. How long will the poor painfully pay for the sins of the rich? Why should the poor be allowed to play the role of Jesus Christ in Nigeria? It could shock you to death that over 40% of Nigeria's GDP is consumed by our National Assembly alone. Former Governor of Central Bank Sanusi Lamido claimed it has been difficult to review and reverse that. We can now see in the picture here, the attitude of the legislators we voted to represent us. They were fighting to greedily continue with the trend of extremely fat salaries and allowances. Nigerians must stand up for themselves. We look up to President Buhari to reverse this brutal trend. Nigeria is almost seeing the last days. Let me take you through a breakdown of what legislators who are real legislators existing for the betterment of the state earn across the world. Sit back; take a drink because the happenings are really dehydrating. The average salary of Nigerian worker based on the national minimum wage is N18,000.00, So, the yearly salary is N18,000.00 x 12 = N216,000.00. It will take an average Nigerian worker 1,638 years to earn the yearly salary of a Nigerian Senator. This is a major reason why killings are prominent during political elections in Nigeria. Politicians see a worthwhile reason to kill and maim their fellow opponents since they will be basking in wealth for the next one term of 4 years in office. What can the masses do? Who is our helper? We can only take records in utmost tears as the mosquitoes pierce our skins for that red wine all through the long nights. The Village Town Crier drops his pen in sadness.